Children in Lancashire are at a higher risk of injury on the roads than anywhere in Britain, according to a new report. An analysis by the RAC motoring organisation of accidents between 2010-14 named Blackpool as the area with the highest proportion of child casualties with 393 victims, followed by Hyndburn with 246, Blackburn with Darwen 491 and Burnley with 248. 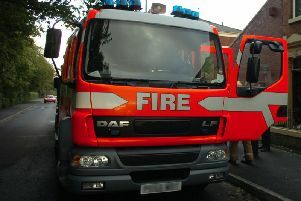 Preston came ninth in the list of ten most affected council areas with 361 casualties. The rankings are based on average annual child casualties per 10,000 resident children. The report comes just days after county councillors had called for more information and analysis of why serious injuries involving youngsters are on the increase in the county.